Mike Fox is both old school and new school rolled into one. 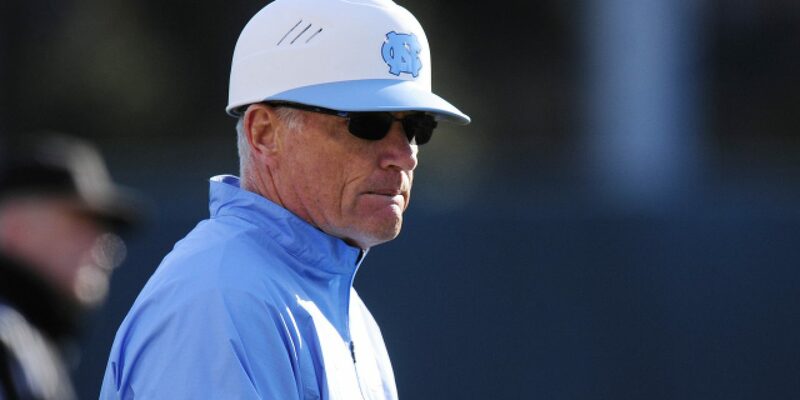 Carolina’s baseball coach is, shall we say, sly as a Fox. He might be an old dog in some eyes, having coached here for 20 seasons and taken six teams to the College World Series while winning more than 1400 games. But, unlike some peers of the same vintage, Fox is always open to new ideas that will make his baseball team better, get back to the CWS and win that dad gum ring! Like what is going on now with his 2018 club, currently ranked No. 4 in the nation. The Tar Heels are playing chess in the locker room before games and after practices. That’s right, chess – with Kings and Queens and Knights and Pawns. So you say that Fox is playing chess while most other coaches are playing checkers? Well, that’s only part of it. The chess comes from pitching coach and former Tar Heel star Robert Woodard, who still owns the record for most wins as a Carolina pitcher while going 22-0 at The Bosh. Woodard was a chess champion as a kid, winning some mighty big tournaments around the country and the world. But, now, chess is a metaphor for statistical strategy called analytics, made famous with the book and movie “Moneyball,” and applied on the field from those Oakland A’s of Billy Bean to the current World Series champion Houston Astros. Woodard hired a sophomore at UNC who is both a baseball nut and brilliant with numbers. That equals an analytics system that some of the most famous in the field say has the Heels ahead of that game, too. Carolina uses terms like spray rate of batters and spin rate of pitchers to identify tendencies of opponents that result in both scoring more runs and better defending opponents from scoring. It is part of the new school system Fox uses to go with his old school philosophies of playing small ball, moving the runners up and the head coach’s hunches from his decades of experience. Baseball America has a long story on all of this, and it’s fascinating – suggesting why Carolina is back at the top of the polls and prospective NCAA seeding for the second straight season after suffering a slight swoon in the program. Fox and Roy Williams are good buddies, and Ol’ Roy likes to say he’s stubborn as all get-out. But you’ve got to watch out for these old school coaches. Analytically speaking, something is very new in the air with the Diamond Heels.